Plus taxes and Regional Sports Fee. For 12 months w/ 24-mo. agmt. Autopay & Paperless bill req’d. $110/mo. in months 13-24 (subject to change). Regional Sports Fee up to $8.49/mo. is extra & applies in select markets. * *$19.95 ACTIVATION, EARLY TERMINATION FEE OF $20/MO. FOR EACH MONTH REMAINING ON AGMT., EQUIPMENT NON-RETURN & ADD’L FEES APPLY. Price incl. CHOICE All Included Tv Pkg., monthly service and equip. fees for 1 HD DVR & is after $5/mo. autopay & paperless bill discount for 12 mo. Pay $50/mo. + taxes until discount starts w/in 3 bills (No autopay req'd for att.com orders only). New approved residential customers only (equipment lease req'd). Credit card req'd (except MA & PA). Rest's apply. 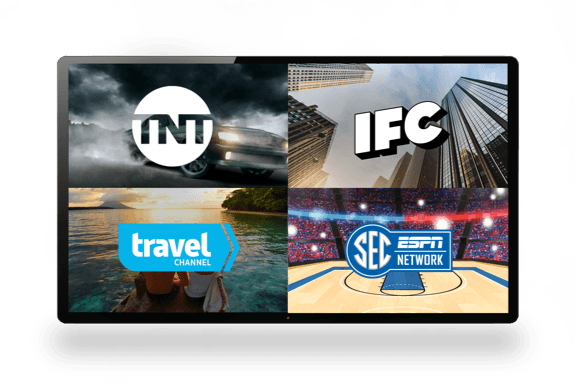 A great package for customers looking to expand their entertainment, the CHOICE package from DIRECTV gives you more than 185 channels and unlimited access to thousands of On Demand titles. Discover new series and browse old favorites with a lineup of sports, news, and family programing on popular channels like ESPN HD, Fox News Channel HD, and Nickelodeon HD. As always, when you choose DIRECTV there is never any equipment to buy so you're completely free to enjoy TV month after month. Get everything you want with DIRECTV CHOICE All Included TV + Internet bundle, $85/mo. Plus taxes and Regional Sports Fee. For 12 Mo. w/ 24-mo. TV & 12-mo. Internet agmts & combined bill. Autopay & Paperless bill req’d. $150/mo. in months 13-24 (subject to change). Regional Sports Fee up to $8.49/mo. is extra & applies in select markets. * Incl Unlimited data allowance ($30 value) at no add’l charge.† *$19.95 ACTIVATION, EARLY TERMINATION FEES ($20/MO. FOR TV; $15/MO. FOR INTERNET) FOR EACH MONTH REMAINING ON AGMT., EQUIPMENT NON-RETURN & ADD’L FEES APPLY. Price incl. CHOICE TV Pkg., monthly service & equip. fees for 1 HD DVR and Wi-Fi Gateway & is after $5/mo. autopay & paperless bill discount for 12 mo. Pay $93/mo. + taxes until discount starts w/in 3 bills. New approved residential customers only (equipment lease req'd). Credit card req'd. Restr’s apply. Packed with over 185 channels, DIRECTV CHOICE has something for everyone. Browse through family favorites like Nickelodeon, Disney Channel, or Cartoon Network and catch the newest hit series on USA, TNT, HGTV, TBS, MTV, Animal Planet, Discovery, and more! Plus, when you subscribe to DIRECTV CHOICE you'll enjoy premium channels, like HBO, STARZ, SHOWTIME, and CINEMAX at no extra cost for three months. After 3 mos, services continue at then prevailing rate (currently $53.99/mo.) unless you call to change or cancel. Req's you to select offer. If you find you can't live without these premiere channels simply add your favorites to your package, starting at just $13.99 per month. Great entertainment requires great equipment. Thankfully, when you choose a DIRECTV package you also get DIRECTV's Genie HD DVR. Capable of recording up to 200 hours of HD1 entertainment on a single Genie, the HD DVR from DIRECTV will change the way you watch TV. The fun shouldn't stop just because you've left the house. Download the DIRECTV app5 for your smartphone and take the party with you. With the DIRECTV app you can enjoy the same DIRECTV you watch at home and even access the extensive On Demand selections.6 No Internet? No problem! Download your DVR to your mobile device and watch your favorites whenever the mood strikes. 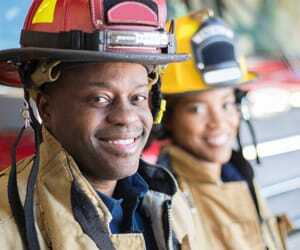 Plus, when you have a DIRECTV subscription and AT&T Wireless plan you can enjoy Data Free TV on all your devices.7 That means you can catch up on the newest episodes of your favorite show from your tablet, smartphone, or laptop without using your wireless data. Want to enjoy the latest Hollywood masterpieces from the comfort of your living room? DIRECTV CINEMA® is the fast, easy way to instantly access the newest movies, with select titles available almost a month before other movie lenders. Watch the hottest movies On Demand on your favorite devices in 1080p HD8 with DIRECTV CINEMA. Enjoy the most talked-about dramas, comedies, and thrillers—anytime, anywhere—with the power of DIRECTV CINEMA. Now you don't have to leave home to experience the biggest blockbusters. 3 Limited titles available. Requires a Genie HD DVR (model HR54 or later) and a DIRECTV 4K Ready TV, or 4K TV connected to a 4K Genie Mini. Additional & Advanced Receiver fees apply. ULTIMATE Package and higher and 4K account authorization required. Visit directv.com/4K for complete details. 4 Dolby Digital Plus 7.1 available when provided by programmer. Additional equipment required. 6 Availability of channels varies based on programming package. 8 Limited titles available in 1080p. To view programs in 1080p, the following are required: an HD DVR Receiver (model HR20 or higher), an HDMI cable connecting the receiver and the television and a high-definition 1080p24 television. Not all models are compatible. Advanced Receiver Service fee required. Every DIRECTV subscription gives you a taste of what life is like with superior entertainment. Add premium channels like HBO, SHOWTIME, STARZ, and CINEMAX to your subscription for as little as $13.99 per month per channel. For all the action junkies in your house, there's the heart-pounding excitement of DIRECTV's dedicated HD channels. 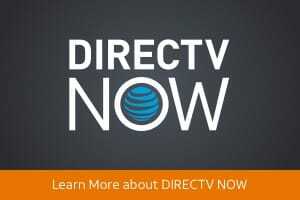 DIRECTV HD EXTRA PACK gives you nine premium networks broadcasting 100% in mind-blowing HD, for just $4.99 a month. Whatever sport you cheer for, DIRECTV has a package for you. From basketball and hockey, to baseball and soccer, DIRECTV covers all the professional leagues. Add MLB EXTRA INNINGS®, NBA League Pass, NHL® CENTER ICE®, and NFL SUNDAY TICKET to your entertainment package and never miss a shot, pass, or touchdown again. Can't decide what you want? Get a little bit of everything! For only $13.99 a month, DIRECTV SPORTS PACK delivers 24/7 access to over 30 action-packed channels, including Altitude Sports & Entertainment, ESPN Buzzer Beater, ESPN Classic, One World Sports, MLB Network Strike Zone, and many more! Residential DIRECTV & select wireless customers in the U.S. (excludes PR and U.S.V.I.). In-App streaming does not count against your data allotments. Exclusions: App download may incur data usage/charges. Bonus Data will be provided to help cover ads and non-streaming app activity that may incur data usage. Excludes streaming through GenieGO/Nomad. Eligible Wireless: Requires active AT&T postpaid data service on eligible device. Use subject to wireless service terms including those related to data speed. Streaming may not work at reduced speeds. Offer, functions and programming subject to change and may be discontinued without notice at any time. See att.com/datafreetv for a list of eligible devices (sold separately).